When someone makes you upset, do you automatically wish them well? Do you feel like blessing someone who insults you? Probably not. It’s not a natural reaction to treat someone like the best when they treat you like the worst. But God’s Word says to do the unnatural thing — pray for someone who mistreats you — even if that’s not our first reaction as human beings. What is that all about? Our supernatural Father specializes in unnatural grace, unnatural forgiveness, and unnatural love. And he calls us to follow his lead. If someone is treating you badly, it doesn’t feel like God’s best for you. But praying specifically for the offender helps you hand over your hurt so you can be free. Let God take care of it. That is the best. 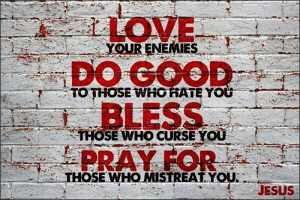 Loving and praying for your enemies doesn’t mean you become their best friend, but that you pray for their best interest. Yes, it’s hard to pray for someone who isn’t nice, but you are talking to a mighty miraculous God who listens to you, cares for you, and works in people’s lives. Chances are many people will hurt you or be unkind behind your back. Instead of repaying them, pray for them again and again. It will remind you that you are not in control, but God is. He has the power to change them and to change you. Remember God calls us to do the unnatural, because God does the supernatural all the time. Dear Lord, help us to be unnatural and love those that do bad to us. Help Your love shine through us in everything we do. In the Name of Jesus, Amen. Did you know that the real-life conversations Jesus had with people on earth count as prayers? A few people had the privilege of talking to Jesus in person back in that day. One time, Jesus came to visit Mary and Martha’s family. So Martha got busy doing chores and cooking food for their guest. There was so much to do. All the while, her sister Mary was just sitting there. Can you believe it? After a while, Martha had enough. She complained to Jesus about the unfairness. “Hello! I’m doing all the work around here,” she griped. 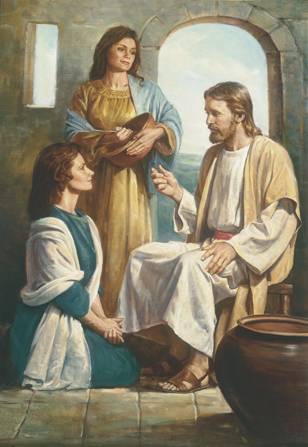 “Mary’s being lazy.” Although Martha was doing good things, she didn’t get the answer she expected. Martha thought Jesus would correct Mary and tell her to get to work. Instead, Jesus corrected Martha. Gently, he helped her see that even though taking care of guests was a good thing, he wanted something different from Martha. He wanted her to be like Mary, paying attention to Jesus at that moment rather than being distracted by too many to-do’s. It can be easy to get caught up complaining about others in your prayers. Jesus is more concerned with what is in your heart. You may not be right or know best. It’s OK to vent your frustrations to God but expect Jesus to tell you what you’re missing. He may even correct you. If he does, he will show you a better way. You’ll find that you are less concerned with what others are doing or not doing. Your concern should be with what Jesus wants for you. It may be hard to hear, but are you going to listen to what Jesus has to say? Dear Lord, help our concerns be with what You want for us. Help us to really listen to You and be willing to share our concerns with You. In the Name of Jesus, Amen. 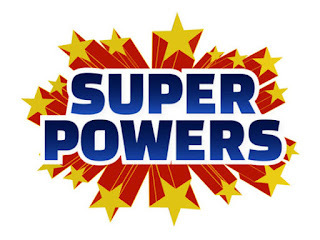 If you could have any superpower, would you flyover the ocean? Or maybe you’d use your X-ray vision to stop bad guys or transport yourself out of work and into the pool. While most people know that Jesus could heal, control the weather, and even come back to life, they often don’t realize another “superpower” he used: walking through walls. No open doors? No problem! Jesus waltzed through the walls. He had done it a week earlier. And this time he did it when Thomas — a disciple who had been absent for the first episode — was there. Thomas’ heart must have sped up, guiltily remembering what he had said to his buddies when they told him Jesus was alive. Yet Jesus wasn’t mad at Thomas. Jesus still speaks, even when we pull a Thomas and have doubts. Jesus wants to hear about your doubts, and he cares about what you have to say. He wants to prove his power to you. Will you let him? Dear Lord, help us to bring our doubts to You. Help sus remember that You are all powerful and we have no reason to doubt. In the Name of Jesus, Amen. It turns out even Jesus needed to take a break from the busyness of helping people to spend time with his Father. Here he had just finished doing a lot of work: he called a few disciples, battled some demons, and healed lots of people. He woke up the next morning and knew he needed a break. Off he went to a quiet place and talked to God. If Jesus needed to spend time with his Father, how much more do we need it? It’s impossible to really connect to God when we’re always on the run. When can you steal away for a few minutes with God today? Plan it now. Maybe your solitary place is in the living room before anyone else gets up. Maybe it’s in the library after classes or out in the yard underneath a tree at work. Wherever it is and whatever time you do it, take time with God. After Jesus spent time alone with God, he knew exactly what he should do next. When his friends found him, he said, “Let us go somewhere else . . . so I can preach there also” (Mark 1:38). Not only does time with God build our friendship with him, but it also quiets the noise so we can hear what he wants us to do next. 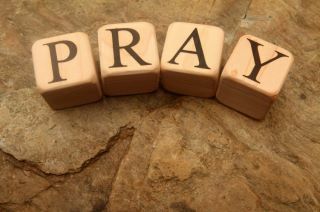 Dear Lord, we thank You that we can come to You in prayer. Help is to make the time each and every day so we can get to know You better. In the Name of Jesus, Amen. Faith is more powerful than fear. Faith can overcome obstacles, faith can see you through any situation, faith can cause miracles to happen, faith can make a way where there is no way. Faith can calm storms. Imagine being out in a wooden boat in the middle of a storm, the waves crashing, the boat rocking, the thunder and lightning billowing overhead. There are a lot of reasons to fear that storm. But there are more reasons to have FAITH in GOD. Faith is more powerful than any storm. Faith is more powerful than your fear. Faith calms the storm. 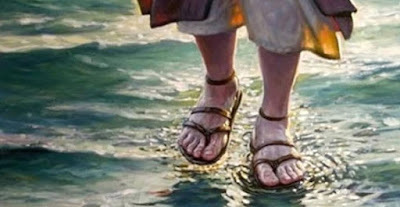 Jesus called Peter out onto the water to walk towards Him. 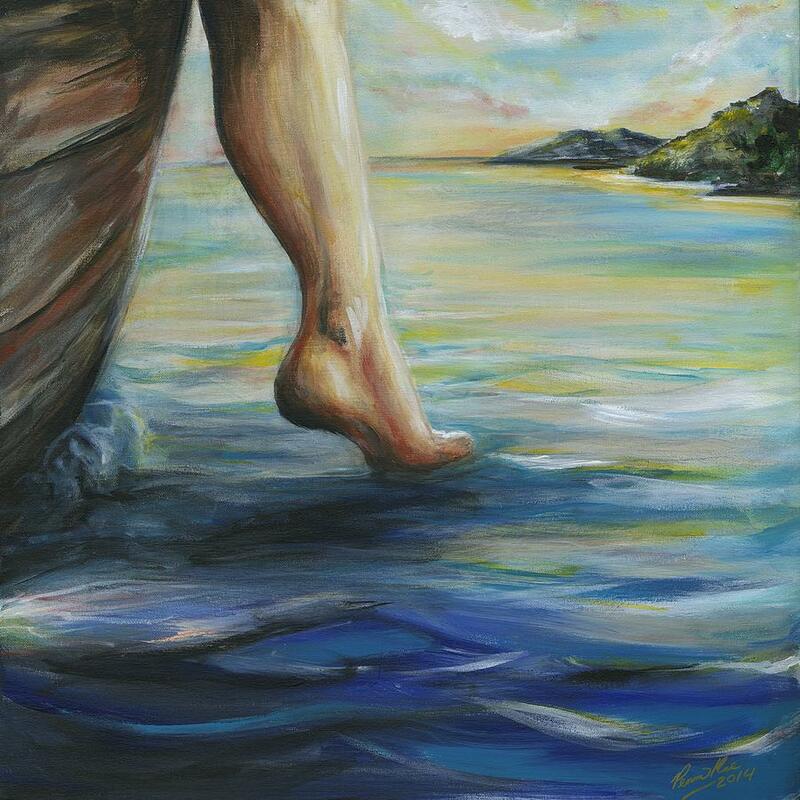 Peter didn’t know what was going to happen, he stretched one leg out and stood on the water, then the other leg and began to walk. Keeping his eyes on Jesus His faith was more powerful than his fear, then the moment he took his eyes off Jesus, he began to sink. 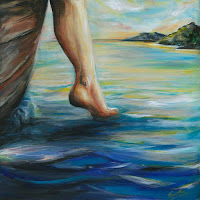 Jesus reached out and caught him and as they climbed back into the boat the storm stopped, the waves were calm. Faith in God is powerful enough to calm a raging storm. Dear Lord, Thank You that faith is more powerful than fear. We don’t have to face life with fear, we can live a life of faith! In the Name of Jesus, Amen. 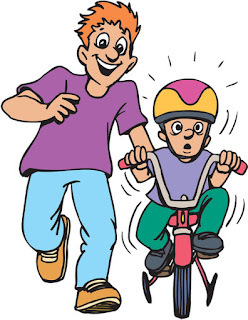 If you’re trying to ride a bike and you’ve never seen it done before you’d be pretty scared and unsure, but when you see that other’s can do it you begin to get a bit more confidence that you might be able to do it too. When you see other’s journey of faith and how God helped them, you begin to get more confidence that you can have faith and that God will help you too. It works both ways, share what God has done for you so that others will be helped and their faith will grow as they trust God. Share what God has done in your life, so other’s faith can be lifted. Dear Lord, we are so encouraged when we hear what You have done in the lives of others. We want to share our faith in You with those around us too, so they can grow in their faith. In the Name of Jesus, Amen. Hebrews 11 talks about the Heroes of Faith in God’s Word, people like Moses, Abraham, Jacob and Isaac. They are all remembered as people that had great faith, but they did not even see the fullness of what God had promised to them. They had faith even when they were laughed at, thrown in prison, attacked, treated badly and made fun of. Nothing made them give up on their faith. They had the kind of faith that Shadrach, Meshach and Abednego had. King Nebuchadnezzar had told them that they had to worship a fake God instead of the real one and only God or they would be put to death in a blazing fire furnace. Here’s what they said Daniel 3:16-18 “King Nebuchadnezzar, we don’t need to talk about this anymore. We might be thrown into the blazing furnace. But the God we serve is able to bring us out of it alive. He will save us from your powerful hand. “But we want you to know this. Even if we knew that our God wouldn’t save us, we still wouldn’t serve your gods. 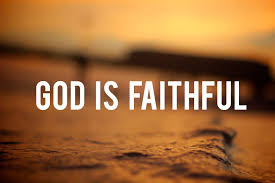 We wouldn’t worship the gold statue you set up.” They had the kind of faith that said even if God doesn’t save us we will still have faith in Him. We pray that God does give us miracles in our lives but EVEN IF HE DOESN’T we still have faith in Him. Dear Lord, We have faith in You no matter what happens. Help us to have the kind of faith that Shadrach, Meshach and Abednego had. In the Name of Jesus, Amen. As we trust God our faith will grow. We know that we can trust Him because He will never fail. But how much faith have you got? How much faith do we need to have? That’s what the disciples asked Jesus, they wanted more faith and Jesus said, “Suppose you have faith as small as a mustard seed. Then you can say to this mulberry tree, ‘Be pulled up. Be planted in the sea.’ And it will obey you.” Luke 17:5-6. 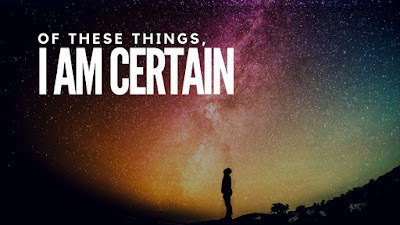 Jesus used this mustard seed example again when the disciples asked why they couldn’t perform miracles like Jesus did, He said, “Because your faith is much too small. What I’m about to tell you is true. If you have faith as small as a mustard seed, it is enough. You can say to this mountain, ‘Move from here to there.’ And it will move. 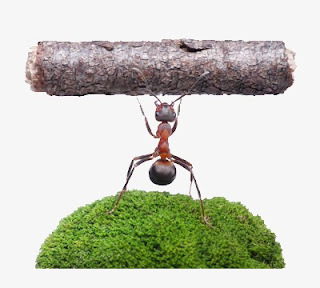 Nothing will be impossible for you.” Matthew 17:21 Faith as small as a mustard seed was all they needed. 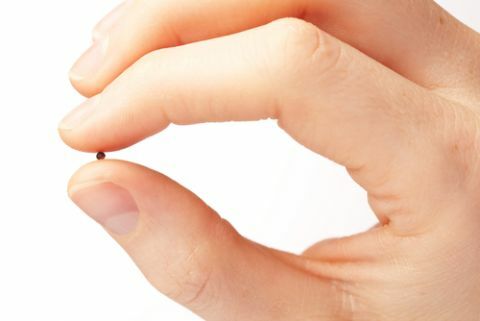 A mustard seed is tiny especially when compared to the size of a mountain! Imagine something so small having such great power. When our faith is in God and He is working through us it is powerful. Dear Lord, With You, nothing is impossible! We want to have mountain moving faith because we know You will never fail us. In the Name of Jesus, Amen. 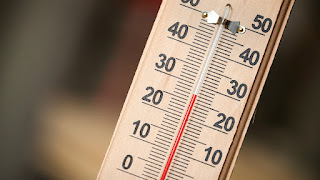 Thermometers are used to measure temperature. Inside is a liquid, usually mercury, which is held in the round bulb shape at the bottom. 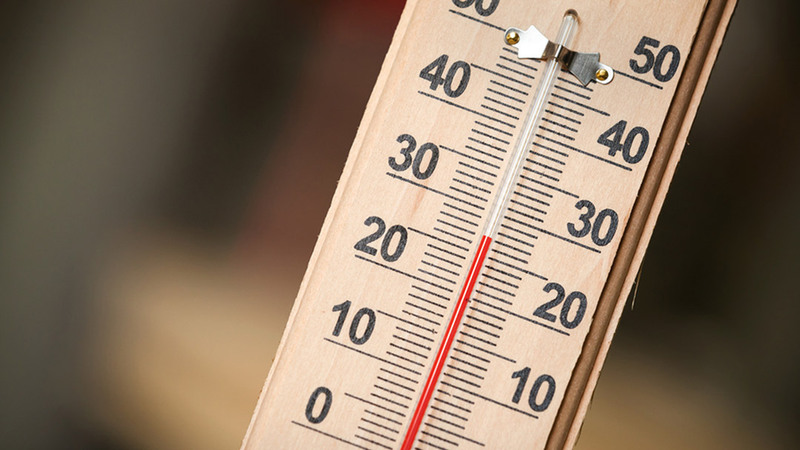 There is only a set amount of mercury inside the thermometer. The amount of mercury doesn’t change, more isn’t added or taken away, it stays the same. There is a scientific principle that a liquid changes its volume depending on what temperature it is in. Liquids take up less space when they are cold and more space when they are warm. When a thermometer is placed in something warm the mercury expands, sending it up from the bulb showing higher and higher on the small narrow tube. With a guide on the sides showing what measure it’s reaching you can see what the temperature is. We are each given a measure of faith. How we use that faith and what sort of environment we place our faith in it can grow, like mercury in a thermometer. When we are placed in different situations, our faith expands, getting bigger and bigger! With faith in God we can face any challenge that we find ourselves in. Dear Lord, Thank You that You give us a measure of faith. When we face challenges, help our faith grow bigger and bigger! In the Name of Jesus, Amen. Jairus, a church leader, approached Jesus knelt before him and said, “My daughter has just died. But come and put your hand on her, and she will live.” Jesus got up and went with Him, and so did his disciples. When Jesus entered Jairus’ house and saw the noisy crowd and people playing pipes, he said, “Go away. The girl is not dead but asleep.” But they laughed at him. After the crowd had been put outside, he went in and took the girl by the hand, and she got up. believe and have faith for God to move? Dear Lord, You can do the impossible. No matter what we may be facing we can have faith in You. In the Name of Jesus, Amen. The Bible is the story of God and His people. It is full of people that lived incredible lives of faith. They didn’t just talk about faith, they lived with faith and did incredible things as they trusted God. Living by faith is what set them apart and is the reason they are recorded in God’s Word. We can see their examples and be encouraged. One of my favorite heroes of faith is Noah. 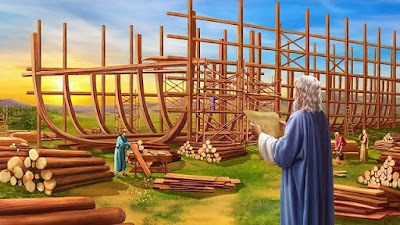 By faith, Noah built a ship in the middle of dry land. He was warned about something he couldn’t see and acted on what he was told. The result? His family was saved. His act of faith drew a sharp line between the evil of the unbelieving world and the rightness of the believing world. As a result, Noah became close with God. We can live a life of faith just like the heroes in God’s Word. Our faith grows when we hear other people’s stories of faith. Their faith was shown in how they lived. 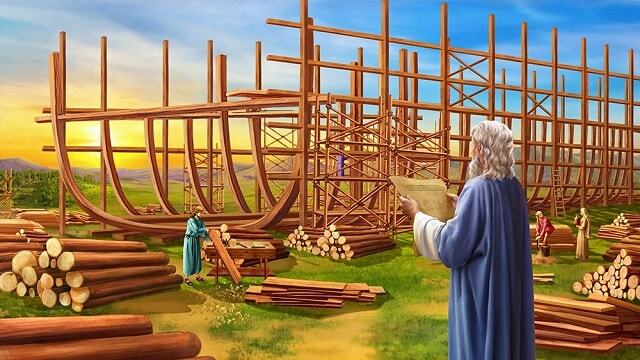 If Noah never had faith, he wouldn’t have built the Ark. What could God do through you if you live by faith? As we trust God, our faith will grow. Dear Lord, Help us to grow in our faith. Step by step in obedience to You, having faith in the unseen. In the Name of Jesus, Amen. If you took faith on one side and fear on the other and set them to do battle, do you know who would win? FAITH! Faith in God defeats fear. Faith in God defeats fear of the future. Faith in God defeats fear of the unknown. Faith in God defeats fears of any kind. When we focus on God and what He promises us in His word fear begins to retreat and is defeated. 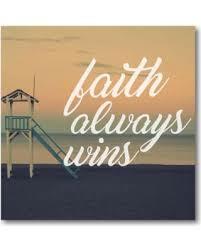 No matter what is causing us to be fearful, faith in God will always win. If you choose to have faith in God over and over again instead of choosing fear, you’ll see that Faith wins every time. Dear Lord, You are bigger and stronger than any fear, You have power over all of creation. Help our faith be strong in You. Thank You that You have power over our fears. In the Name of Jesus, Amen. What makes a father good? Importantly, it’s being a man the family can trust because he keeps his promises. 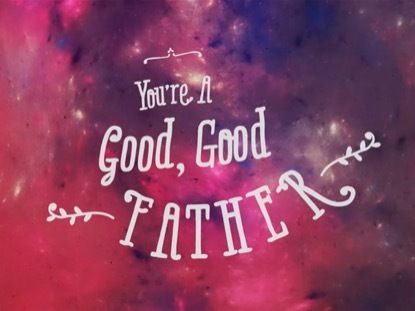 Unfortunately, many don’t know what a father is, let alone a good father. So not surprisingly some have difficulty with God, our Father. How can God be a good Father if he was willing to send his Son off to die? The answer: God the Father is good because he keeps his promises. When our first parents, Adam and Eve, disobeyed God and brought upon the world the curse of death, our Father promised a Savior to rescue the world from the condemnation people deserved because of sin. Throughout history, God kept his promise of a Savior, proving that he is someone we can trust—a good Father. He delivered Noah through a worldwide flood. He granted offspring to an old man named Abraham and his barren wife. He sustained the world wrecked by famine through Joseph, who became second-in-command to Pharaoh of Egypt. He delivered the Israelites from slavery and kept them alive in the wilderness for forty years by his servant Moses. He returned a remnant of Israelites from 70 years in exile, even after they had forsaken him. And finally, God delivered his Son. Conceived by the Holy Spirit, Jesus was delivered by the virgin Mary. On Palm Sunday, he was delivered into Jerusalem on the back of a donkey. On Maundy Thursday, he was delivered into the hands of the authorities by a kiss from Judas. On Good Friday, he was delivered over to death at the hands of Roman soldiers. All this Jesus did for us. God demands we live a perfect life, but accepts the perfect life that Jesus lived on our behalf. God demands payment for sin but counts Jesus’ innocent death in our place. On the cross, Jesus said, “It is finished” (John 19:30). And to show that he is fully satisfied, God delivered Jesus from death to life. Our Father does not count our sin against us. Because of what Jesus has done, God declares that we are not guilty. God our Father is good! Dear Lord, thank you for being our good Father, whom we can trust because You keep Your promises. In the Name of Jesus, Amen. When Jesus walked out on the water, in the middle of the storm, what did the disciples do? They were afraid! They thought He was a ghost! Jesus said to them, “Don’t be afraid...It’s me!” Jesus was with them in the storm. They didn’t have to be full of fear. We may face storms in our life. We might be looking head on into tragedy, we might be walking into a new school where we don’t know anyone, we might be stepping into a new thing and trying something different. You don’t have to be full of fear because God is with you. Just like Jesus was with the disciples in the storm, He is with you in your life no matter if it’s stormy or clear. All through God’s word, He tells us, “Do not be afraid, I am with you” If we have faith in God, we don’t need to be full of fear. In the Old Testament we read that the prophet Isaiah spoke a message from God to His people, “Do not be afraid. I am with you. Do not be terrified. I am your God. I will make you strong and help you. My powerful right hand will take good care of you. I always do what is right.” Jesus had the same message to His disciples and God has the same message for us today, fear not, I am with you. Dear Lord, Thank You that You are with us and we are never alone. We don’t have to live with fear because You can calm any storm. In the Name of Jesus, Amen. Bible says not to fear 365 times, one for every day of the week. This may be true depending on which translation of the Bible you’re reading. 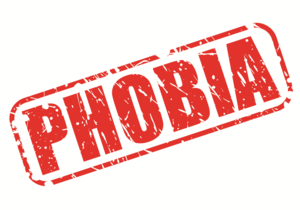 In the average Bible, phrases like “Don’t be afraid, do not fear, be not afraid and fear not” found 119 times! 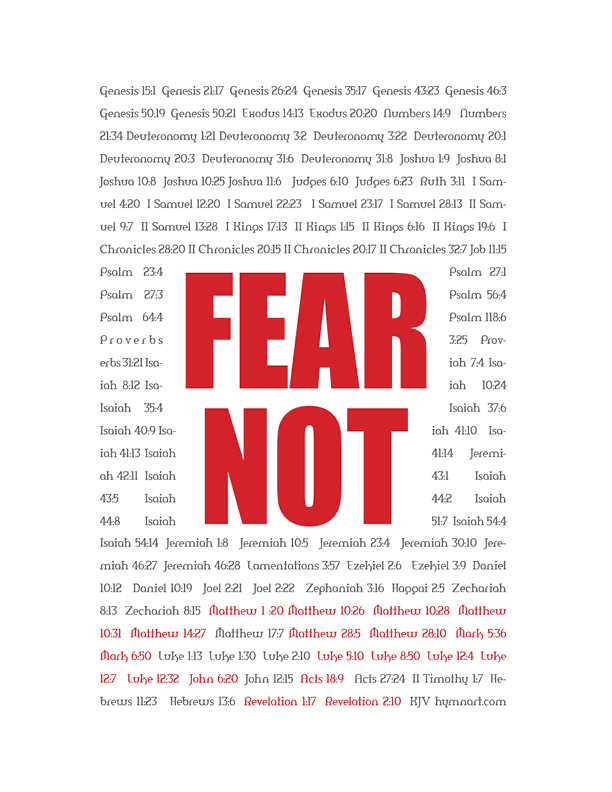 That’s a bit less than 365, but how many times does God need to say “Do not fear” for it to be true? ONCE! Even if it was only mentioned once in the Bible, it’s true and God means it! Faith in God defeats fear! We weren’t made to be full of fear, we were made to be full of faith. Dear Lord, Your word tells us, not to be afraid. We have faith in You and believe Your word that we don’t need to fear because You are with us. In the Name of Jesus, Amen. Can we see God? Do you know what God looks like? Can you see faith? Can you touch it? 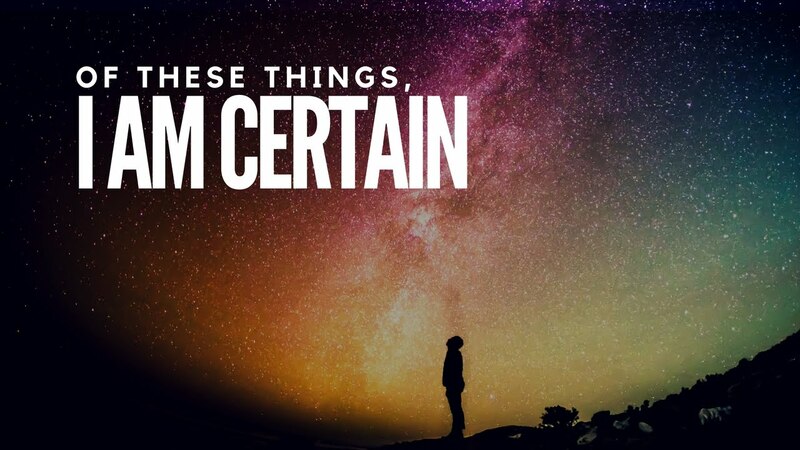 Remember Hebrews 11:1 says “Now faith is confidence in what we hope for and assurance about what we do not see.” We might not be able to see God physically, but we can see what He does, we can feel the effects of Him working in our lives. While we can’t see God in the flesh we have faith in Him. We know we can trust Him. We can see Him throughout His word, The Bible, taking care of His people and keeping His promises to them. We can see Him at work in the lives of our families, people at church and around the world. Having faith is trusting God to do what only He can do! God can do anything! When we can’t see a way out, when we can’t see the answers to our problems, when we can’t see that miracle coming to pass, we can have assurance that God will take care of it. When we can’t see a way, God makes a way! We can be certain of what we don’t see. Dear Lord, We live by faith, not by sight. You are faithful and we trust You to do what only You can do, You can do anything! In the Name of Jesus, Amen. When you get in an airplane you trust that it’s going to fly and not drop out of the sky. You can’t see anything holding it in the air, you can’t see the forces that make it take off the ground and climb higher and higher into the sky. 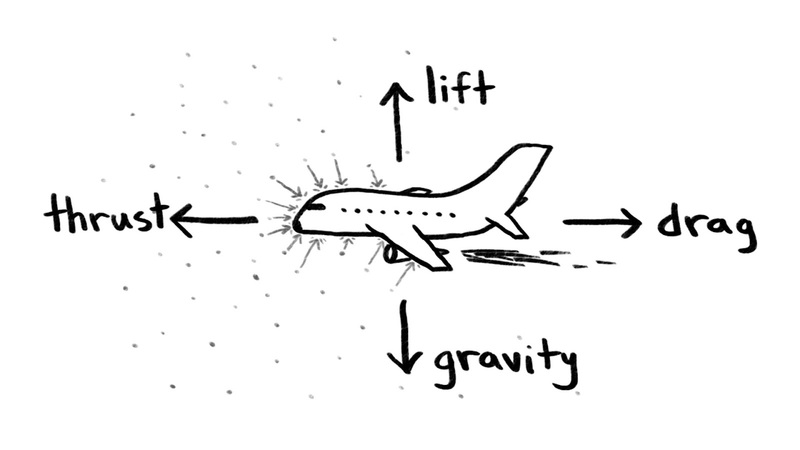 There are four forces that make an airplane fly and stop it from falling to the ground. 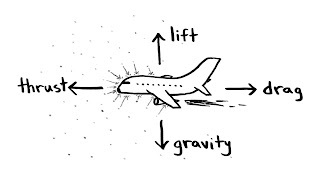 Those are THRUST, DRAG, LIFT and GRAVITY. We can’t see these forces, but we have trust that they are at work. We have confidence in the aircraft and all of those forces working together that we will be safe when we are in an airplane. It’s a little bit like our faith in God. We can’t see the forces at work, God is bigger and more powerful than any force we can describe and we can’t see God, but we have to have confidence in Him for us to step out and live our lives. We can have faith and trust in God. Faith isn’t just a faraway wish that God will take care of us, provide for us, protect us and fulfil His promises to us, faith is CONFIDENCE and ASSURANCE in what we don’t see. Dear Lord, Help us to have confidence in You, faith in what we can’t yet see. We know that You are at work in our lives each day. In the Name of Jesus, Amen. Maybe your solitary place is in the living room before anyone else gets up. Maybe it’s in the library after classes or out in the yard underneath a tree. 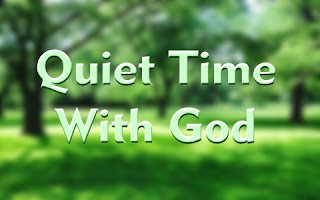 Wherever it is and whatever time you do it, take time with God. After Jesus spent time alone with God, he knew exactly what he should do next. When his friends found him, he said, “Let us go somewhere else . . . so I can preach there also”. Not only does time with God build our friendship with him, but it also quiets the noise so we can hear what he wants us to do next. Dear Lord, help us to take the time to just sit and talk with You. Help us to make it important to talk with You. In the Name of Jesus, Amen. If you have ever seen the northern lights, then you know God can put on a light show like no other! The northern lights—or aurora borealis—are brightly colored lights that shimmer and dance across the sky in the areas around the North Pole. They are caused by fast-moving particles from the Sun (called solar wind) hitting the electromagnetic field that surrounds and protects the Earth from the Sun’s most harmful rays. When those particles hit gas atoms in our atmosphere, those gases glow, creating a spectacular light show. The lights are so vivid they can even be seen from space. 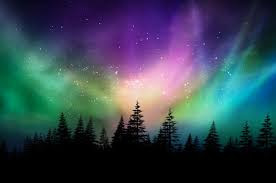 The colors of the northern lights are created when the solar winds bump into different gases in the atmosphere. Yellow, red, and green come from bumping into oxygen. Violet and blue are created by the solar winds bumping into nitrogen. Such an amazing show could only be created by an amazing God. And that light show’s chief purpose is to tell us how great and glorious our God is. But the sky isn’t the only thing God uses to tell about His greatness and glory. God shines the light of His love into our lives and makes us glow with love for Him and for others. He fills us with His light for a great purpose—to shine into the world and show other people the way to follow Him. How do we shine God’s light? God says it this way: “Do not be bitter or angry or mad. Never shout angrily or say things to hurt others. Never do anything evil. Be kind and loving to each other. Forgive each other just as God forgave you in Christ”. When you live this way, you’ll certainly light up the world! Dear Lord, light up our life with the light of Your love. Help us shine Your light into the world around us. In the Name of Jesus, Amen. You probably know that a kitten grows up to be a cat, a puppy grows up to be a dog, and a duckling grows up to be a duck. But did you know that a kit grows up to be a fox? A puggle grows up to be a platypus? A flapper becomes a swan? Or a fry grows up to be a fish? But the real question is what will you grow up to be? Will you become the person God designed you to be? God has given you special gifts and talents—things you can do that no one else can do in the same wonderful way. He wants you to use your gifts to love Him and love others. Loving God and loving others are the two greatest commandments, and you can find them in today's verse. 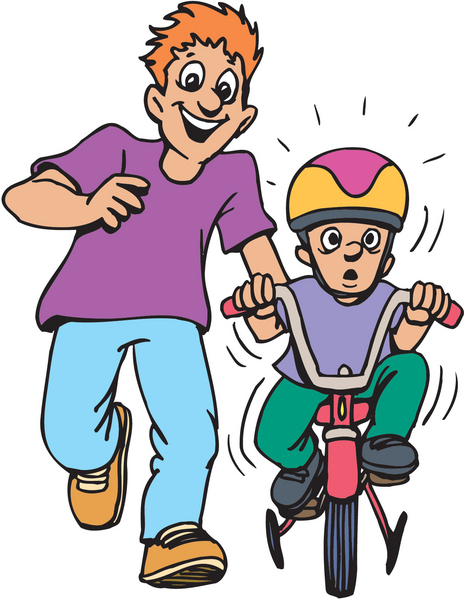 The great news is you don’t have to wait until you’re all grown up to start using your gifts and following God’s Word. You can start right now. But I’m just a kid, you might say. That’s okay—just check out what one kid in the Bible did. Josiah was only eight years old when he became king and led the people back to God. Now, you don’t have to be a king to do what’s right and to lead people to God. You can be a teacher, a firefighter, the president—or a kid. Just love God with all your heart, soul, and mind, and love others—and you’ll grow up doing great things! Dear Lord, thank You for creating us uniquely and with a purpose. Help use see all the ways—big and small—we can show Your love to others today. In the Name of Jesus, Amen. Bones—they’re what separate us from the jellyfish. Well . . . bones, intelligence, souls, and a few other things. But the point is that bones are hugely important. 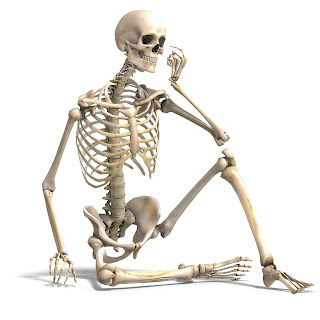 You were actually born with 300 bones in your body, but as adults we have only 206. What happened? Did you lose some? No, but some of them did grow together. For example, when babies are born, the bones in their skull are still separate. They’re connected only by tough membranes called fontanelles—these create the “soft spot” on a baby’s head. Over time, the bones grow together and become solid. In the adult body of 206 bones—more than half of them are in your hands and feet. The femur (thighbone) is the longest, while the stapes (which is in your middle ear) is the smallest. Bones do many things for your body. For example, bones keep you standing tall. They make up your skeleton and give your body its shape. Bones provide a frame for your muscles so you can move, and they protect your soft tissues and organs. They also store minerals your body needs—like calcium. And bone marrow—the stuff inside your bones—is actually a factory for your blood cells. So, yes, the bones of your skeleton are pretty important, but they aren’t the only bones you have. You also need to have healthy “bones of faith.” You keep these bones healthy by praying to God, praising Him, studying His Word, and being with His people. The bones of faith are some of the most important bones you need to shape your life. They help keep you moving in the right direction as you follow God’s will. They protect the soft insides of your heart and soul. And they store up the power of God in your spirit, so it’s there when you need it. If you keep your bones of faith healthy, these bones will keep you standing tall when temptations and tough times come. Make no bones about it—these bones of faith are hugely important! Dear Lord, show us how to keep our “bones of faith” strong—so we can always stand tall for You! In the Name of Jesus, Amen.